Hard at work at their Origami creations! This week has been very exciting for the little ones in Armaan Club! The Children Toy Foundation, a unique NGO for children, visited the kids of the artisans this week, laden with dozens and dozens of toys! 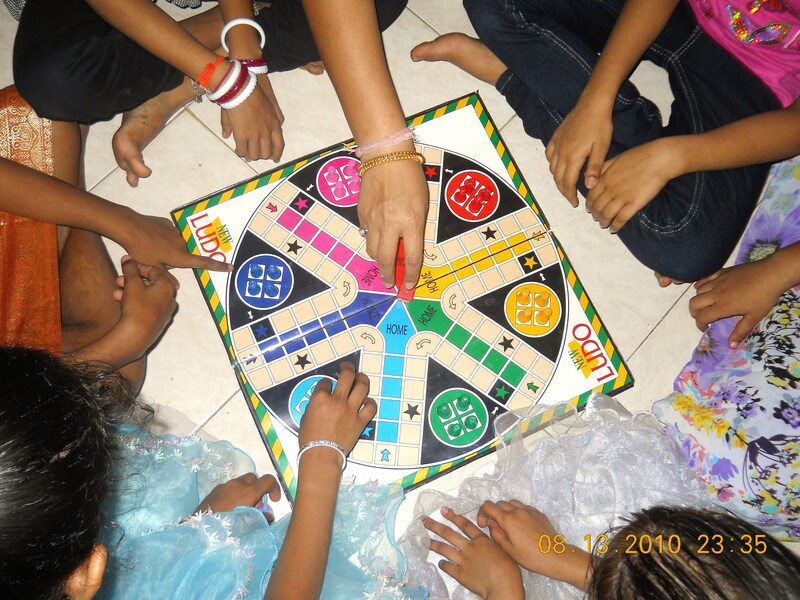 This unique organization was started in 1982 with a very basic aim- to inculcate a love for toys and games in the general public and in children in particular. They believe that playing games teaches children life skills, and through their work over the last 3 decades they have tried to bust the myth that games are just a way of whiling away time. They work through mobile vans equipped with AV systems and toy libraries and visit kids in municipal schools. 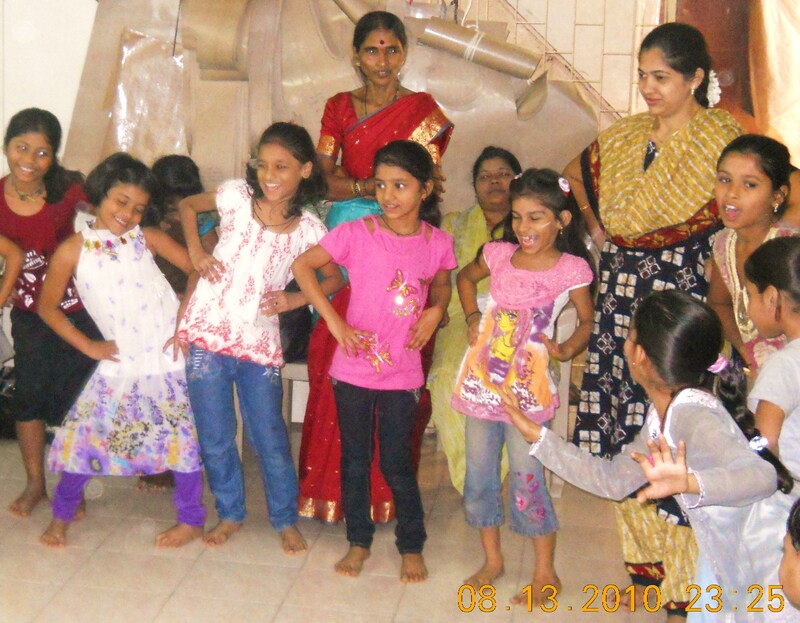 Their day with our kids began with reciting prayers followed by a song and dance session. 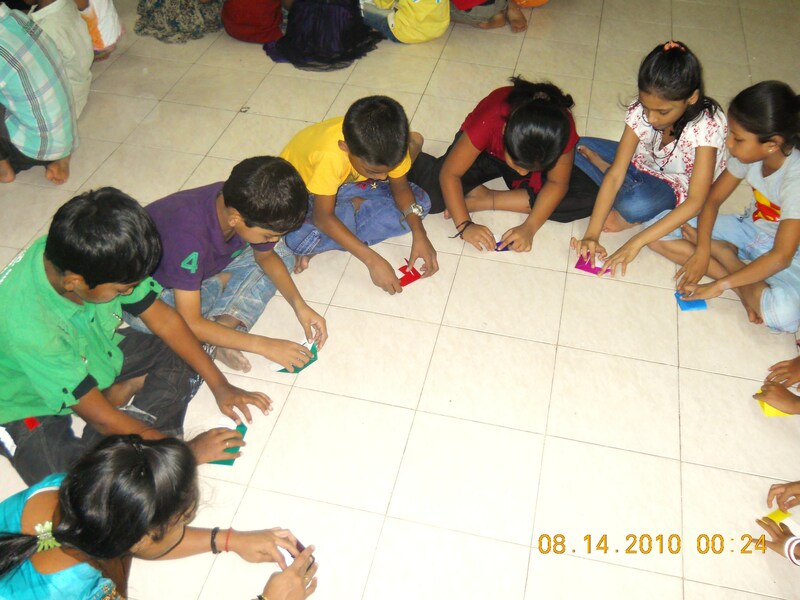 The children were of different ages so they were divided into groups and given games and craft options according to their capabilities. The volunteers from Children Toy Foundation played both educational and strategic games with the kids- card games, alphabet and word-building games, puzzles involving numbers, shapes and colors. This was followed by some origami- something completely new for the kids- you should have seen the look on their faces when they made birds out of paper with really flappy wings and all! The day ended with a puppet show-an absolute treat for the kids! We hope the good people at Children Toy Foundation will visit us again soon! Next Post: Armaan Club Kids Go to Camp!